(nee Chandek), passed away on March 27, 2019, aged 90. Beloved wife for 53 years of the late Gerald. Dear mother of Gerald (Sue), Gail (Rick) Viergutz, Tom, and Ted (PaulBrzezinski). Loving grandmother of Kristin, Gregory (Tina), Stephanie Golon, Justin (Crystal) Golon, and David Colby; and great-grandmother of Jocelyn Golon. Sister-in-law of Pat Chandek, Clifford Jensen, and Clarence (Virginia) Robe. Further survived by nieces, nephews, other relatives and friends. Preceded in death by her husband and her brothers Albert and Edward Chandek. Dolly was born in and grew up in Milwaukee, with her late parents Hermina Francesca (Dorfmeister) and Joseph Chandek, both of whom immigrated from Slovenia; together with her two brothers. She attended local grade schools and graduated from Bay View High School, and the Patricia Stevens Finishing School. 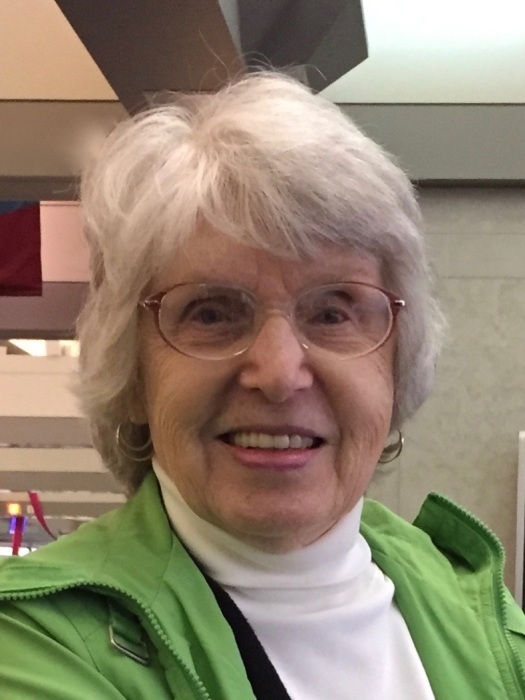 In her young adult years she worked as a telephone operator for Wisconsin Bell, and as an executive secretary at Southview Hospital in Milwaukee. Her greatest joys in life, though, were as wife, mother, and homemaker; roles to which she gave passionate attention and energy. She also enjoyed gardening, home canning, baking, reading, music, and family travel. Private chapel service at King Veteran’s Home, graveside service at the Wisconsin Veteran’s Memorial Cemetery in King, Wisconsin, followed by a private celebration of life luncheon, at a future date. The family extends its deepest thanks to all the fine, dedicated staff at King Veteran’s Home, where she enjoyed wonderful care and attention during the final years of her life, and to the staff at Theda Care Riverside Hospital, Waupaca, for the loving care given to her during her final days.